DCZCQ series Vacuum Degasser is a special-purpose device and a new type one for the treatment of gas in the drilling fluids. It can get rid of various gas of invasive drilling quickly. 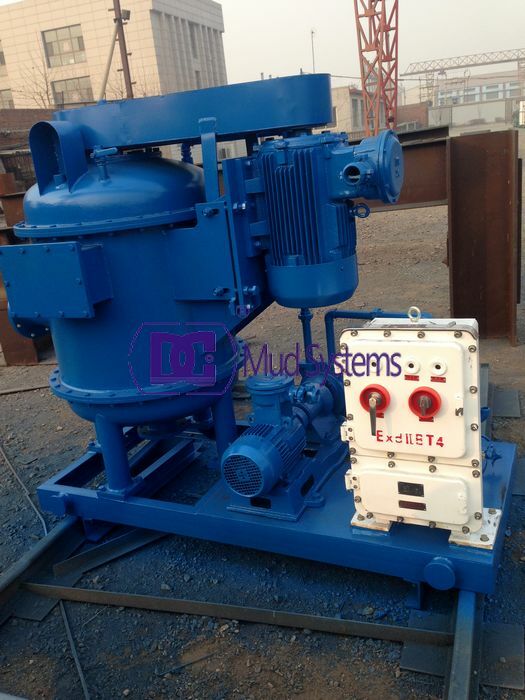 Vacuum degasser is very important for returning mud gravity, stabilizing mud viscosity and reducing drilling cost. DCZCQ vacuum degasser is a self-contained unit, DC Vacuum Degasser is monitored by level sensor to protect over suction of the fluids. The gas-cut mud is drawn into the degasser by a vacuum created by a regenerative vacuum without needing centrifugal pump. 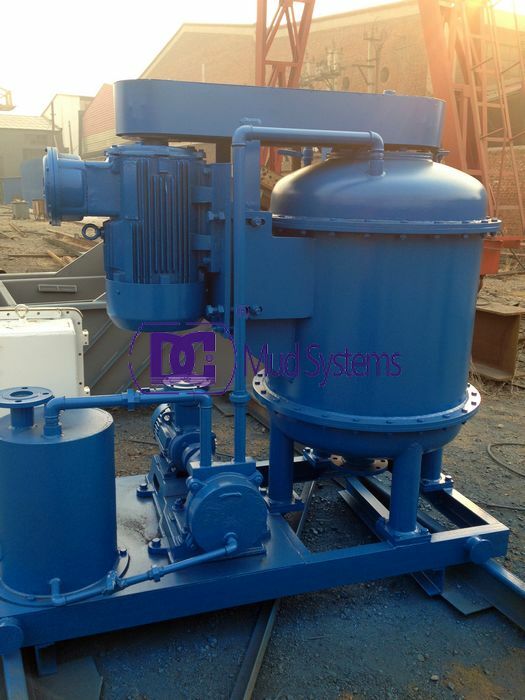 DC degasser can act as a big agitator for the drilling mud, which helps the treatment for desander and desilter.